The second crime novel by internationally bestselling writer Eoin Colfer is a gritty and utterly compelling follow-up to the critically acclaimed PluggedIn Screwed, Colfer adds and entirely new chapter to the adventures and misadventures of Daniel McEvoy, the down-on-his-luck Irish bouncer at a seedy New Jersey bar who, with the help of a motley crew of unlikely characters, solved a bizarre string of murders—including the one of the girl he loved. But people around him continue to die mysteriously, and Daniel is called into action once again. 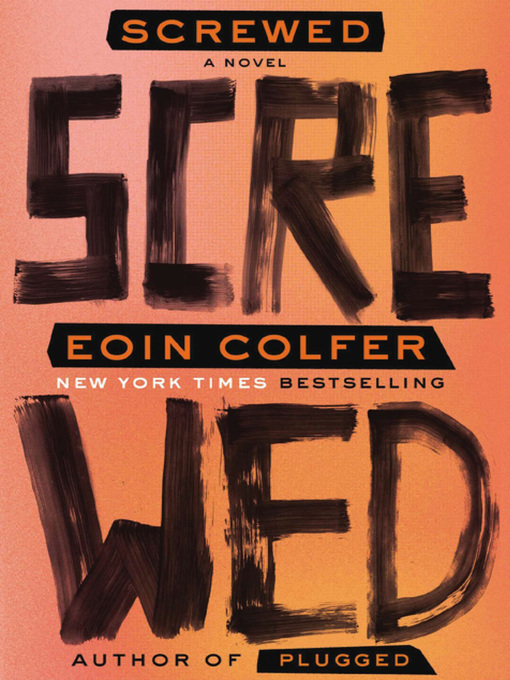 Colfer, beloved by millions for his Artemis Fowl series, has written a riveting and relentlessly paced sequel that is sure to garner international praise. With wildly inventive imagination and head-spinning plot twists, Screwed is a tour de force that rivals Carl Hiaasen at his very best. Ridley Pearson called Plugged "a brilliant, madcap mystery" and "genius at work." With Screwed, Colfer delivers that signature brilliance once again.